Robert Alan Billstrand, 89, of Sturgeon Bay, was called Home to be with the Lord, Tuesday evening, September 11, 2018 at Sturgeon Bay Health Services. He was born August 23, 1929 in Chicago, IL, the son of Arthur William Billstrand and Eleanore Elizabeth (Ehlin) Billstrand. Bob graduated from Fenger Academy High School located on the south side of Chicago. He went on to study at Florida Southern College in Lakeland, FL. 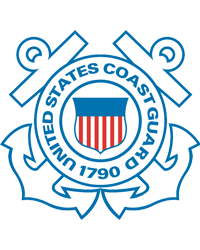 Bob served his country with the United States Coast Guard. On May 15, 1959, he married Jeanette Lillian Olsen at Roseland Presbyterian Church in Illinois. They were blessed with over 59 years of marriage. Bob worked as a real estate broker for William A. Chapman Realty and eventually became a partner (in Chapman-Billstrand Realty), selling custom-built homes. 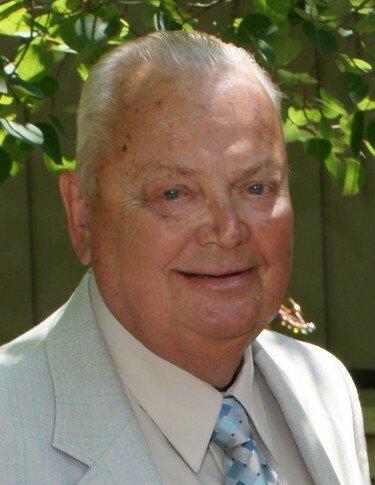 He retired in 1994 and moved to Horseshoe Bay, Door County, WI (where he had built his home, “Billstrand’s Windy Hill,” in 1964), adjoining the property of his parents’ summer home. Bob was a former member of Roseland Presbyterian Church and United Presbyterian Church in South Holland, IL where he served as elder. He served as treasurer to the World Home Bible League. Bob was currently a member of Prince of Peace Lutheran Church in Sturgeon Bay. He was a champion table tennis player while living in Roseland. Bob competed and medaled in ping-pong in the Senior State Olympics in Albuquerque, NM. He was involved his sons’ and family’s activities while they were growing up. Bob will be missed by his dear wife, Jeanette; three sons, Charles (Christine) Billstrand of Lansing, IL, James Billstrand of Plano, TX, and John (Lori) Billstrand of Westfield, IN; seven grandchildren, Nicholas and Olivia, Brandon, Kristin, and Justin, and Alec and Kaelyn; and brother, Arthur (Barbara) Billstrand of Pueblo West, CO. He was preceded in death by his parents; and grandson, Michael Billstrand. Bob’s life will be honored with a memorial service held at 12:00 p.m. on Saturday, September 15, 2018 at Prince of Peace Lutheran Church in Sturgeon Bay with Pastor James Gomez officiating. Visitation for family and friends will be held at the church on Saturday from 11:30 a.m. until the time of service. In lieu of flowers, memorials may be given in Robert’s name for a charity of your choice. Huehns Funeral Home, Inc. & Door County Crematory LLC in Sturgeon Bay are assisting the family. Expressions of sympathy, memories, and photos of Robert may be shared with his family through his tribute page at www.huehnsfuneralhome.com.